I had many thoughts about what to do with all that lumber, but my wife came up with a genius idea (my wife usually comes up with genius ideas): we could really use an entry storage bench. You see, with two adults, three kids, and no coat closet, our stuff gets strewn everywhere. Backpacks, brief cases, diaper bags, lunch bags, bags of clothes... These things end up on the floor, on chairs, on the stairs. There was no place to store them, and as any parent can tell you, one of the most frustrating things about being a parent is when you're upset at your kids for not putting things away and 1) there is no place to put those things, or 2) your stuff is equally as guilty of being out of place. So let's entry bench it up! As die-hard Renaissance Dad followers could tell you, I cannot do woodworking projects following written instructions. I spent three months working on this bench, and I did not use plans. So this is not a step-by-step tutorial on to how to make an entry bench. What I want to do is share some things that I learned through the process of making this bench. 1) Anything, even making a bench, is more fun with my kids. While the kids weren't with me for every step, and while they didn't really do much by way of cutting, sanding, painting, staining... Actually, they really didn't do anything. But they were very interested in watching and learning, and for me, this is worth more than having an entry bench. And of course they were quite interested in the sawdust, so I gave them brooms and dust pans and it was like Christmas. Unwieldy pieces make for difficult gluing. 4) It's best to know when to take a break. When I was getting frustrated with the glue up that was not going well, my mind was not as clear as it should have been. This could have been in part because of exhaustion (it was about 105 degrees in my workshop, and the monsoon humidity was close to 50%), or it could have been because I was nearing the end of the marathon of this project. Regardless of the reason, I knew that if I wanted this to look presentable, I would have to take a break and come at it again fresh (right before I came to this realization, I shouted the prayer, "Come on, Jesus. You were a carpenter. Throw me a bone here"). Many aspects of this project required me to take a step back and approach the project from a different angle. This is part of working without instructions or plans, but it is a challenge that I enjoy. 5) It never hurts to get a professional's opinion. When I was finishing the bench, I applied some tung oil. After a couple of coats, I wasn't sure if I would get the finish that I wanted. I was listening to one of my favorite Saturday morning home improvement shows, Rosie on the House, and Rosie had a furniture restorer as a guest. I called in and asked what kind of finish I would want on this. Mind you, I had already researched this, which is why I moved towards tung oil, but I was at a point where I thought about my three kids climbing and playing on this, and I realized that I needed something a little more robust. Consequently, I ended up using lacquer thinner to remove some of the tung oil and then applied a 90/10 mixture of spar urethane and mineral spirits. I learned that mixing in mineral spirits causes the urethane to self-level, creating a smoother finish. I also have a friend who is a professional woodworker, and Jeff answered so many questions and offered much needed help throughout the entire project. One garage light fixture later, the bench is upright. 6) There is something extremely satisfying about starting with rough lumber and creating something. While not everybody has the tools, space, time, or other resources to do this, and while I don't anticipate building every piece of furniture that I ever need, there was something fulfilling about this process. In order to make the lumber usable, I had to plane it and cut it to size. I created every panel by joining boards. My sweat is infused in the lumber that also holds the sweat of my wife's grandfather, who cut the tree down. And yet it is still just a thing. While I really want to keep waxing poetic right now, I'll refrain. 7) Blemishes make it mine. This is not a perfect piece of furniture. There are nicks in the wood. There are gaps in joints. There are mistakes in cuts. And while I know where every single one is, most people will not see them. But I know that the mistakes mean that it did not come off a factory assembly line. I made it! It is not perfect, but it is mine. 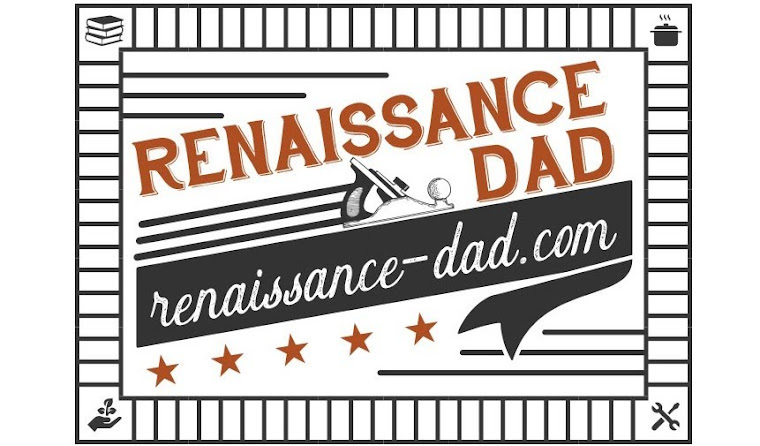 8) I never could have done this without a Renaissance Mom. My wife spent countless hours corralling the kids so I could plane, cut, glue, and assemble. The encouragement to keep going. The ice water on blazing days. The reminder to be safe. These things all enabled this project to happen. For that I am grateful. So there you have it. Eight things I experienced throughout this project without a single direction on how to actually build an entry bench. So pardon me, dear reader, if you were looking for an instructional, step-by-step explanation. That's just not the way my brain works. And for my next project, I'll figure out what to do with all of that cow manure I have at the side of the house. But that's another story.